Timothy L. Arnold & Co. This is the same jacket as the "Mystery Depot" jacket in Echoes of Glory. pg 141. -Bone, coin, dome, glass, or military buttons. Made with side seam pockets out of various materials (cassimere, jean wool, or cotton jean), the choice of lining is between osnaburg and civilian shirting. Various additions can be added to custom make your pants. 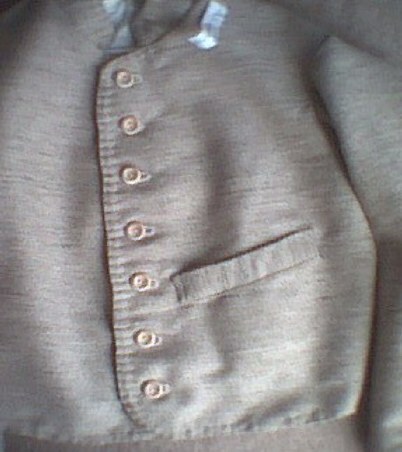 Original bone buttons are used when available. *Many original images are found with a trouser stripe being present on the legs of trousers, regardless of rank, this addition can be added for $20. The tape is entirely applied by hand and ranges in size from � inch to 1 � inch.